Amidst the Garden of the Gods in Colorado - Where to, Peanut? 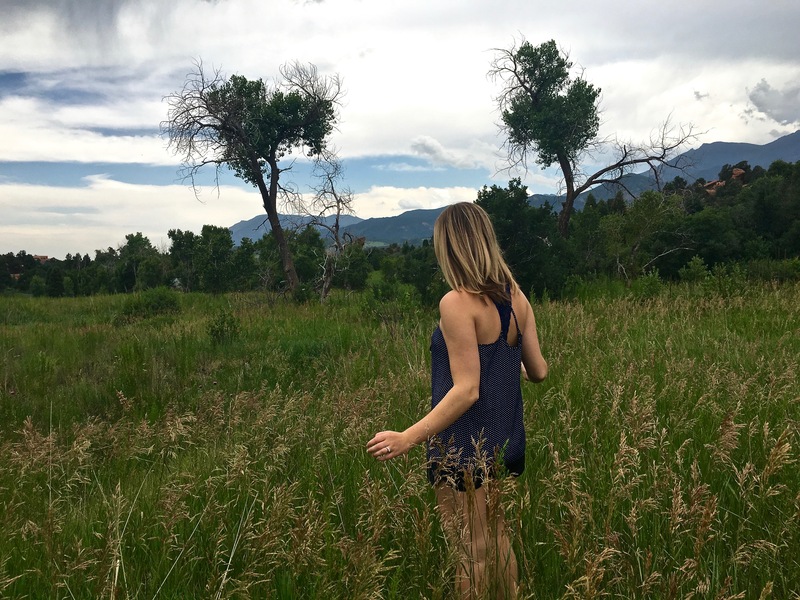 Colorado’s first impression on me was that of its clouds. They seemed impossibly close and fluffy, as if by being at higher elevation I was physically closer to them. 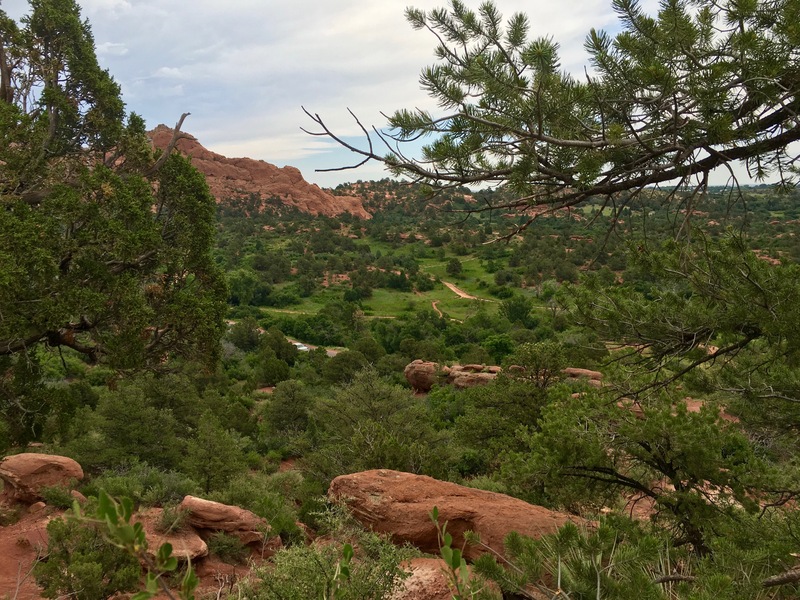 After an early flight from San Francisco, dreaming of the Garden of the Gods, our drive led us through the southern suburbs of Denver, through rolling prairies and emerald hills alike. The clouds, I decided, gave Colorado a sense of place. 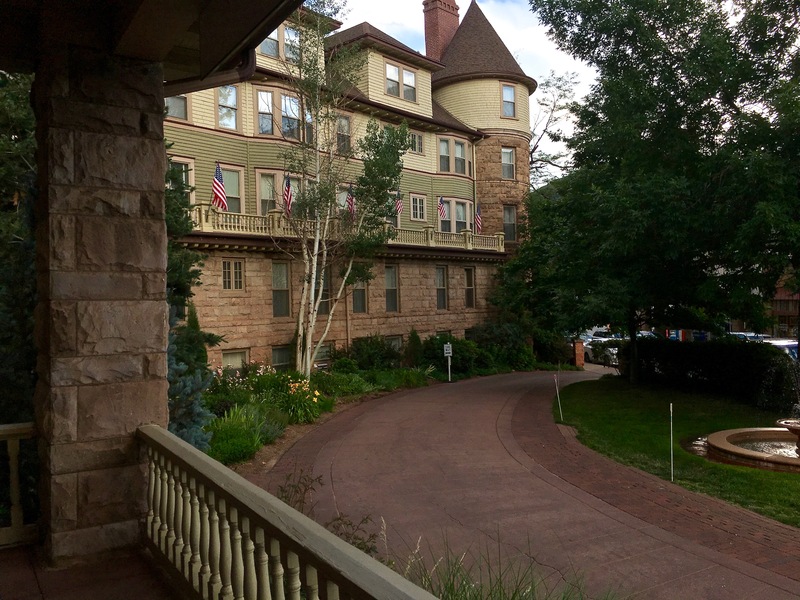 The Cliff House at Pikes Peak was an immediate step back in time, immaculately maintained in the style of the late 1800’s. Upon arrival we were upgraded into a Deluxe Suite, which oozes charm and luxury with historically accurate furniture to boot. With a view of Pikes Peak from the bay window, the suite offers considerable room to relax and get ready for the days activities. I especially loved the marble elements in the bathroom with traditional brass fixtures. A stunning place for a girl to get ready for the day! Upon browsing the lunch menu at the on-site restaurant, I was immediately impressed by their selection of Trappist beers. This, coupled with seating in huge wicker chairs out on the front veranda makes this lunch choice a no-brainer. 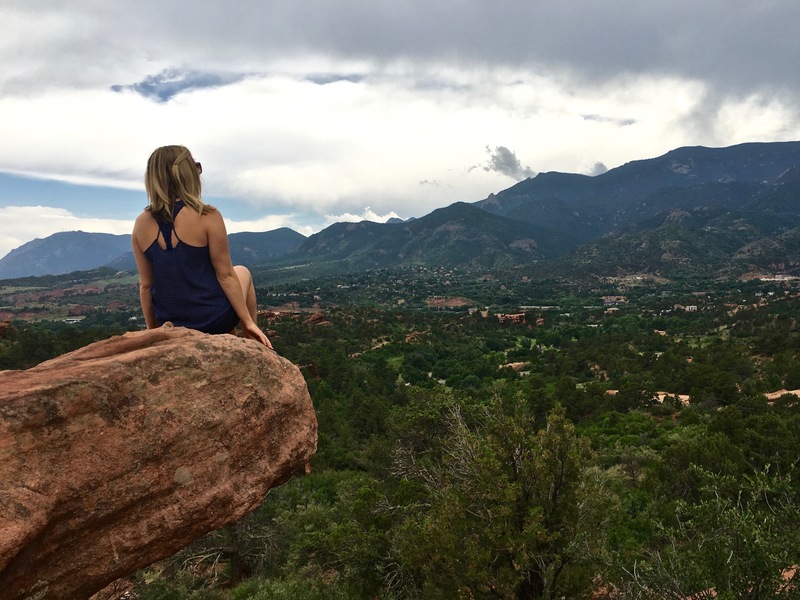 It was a perfect place to wait out the rain prior to venturing out to Garden of the Gods. 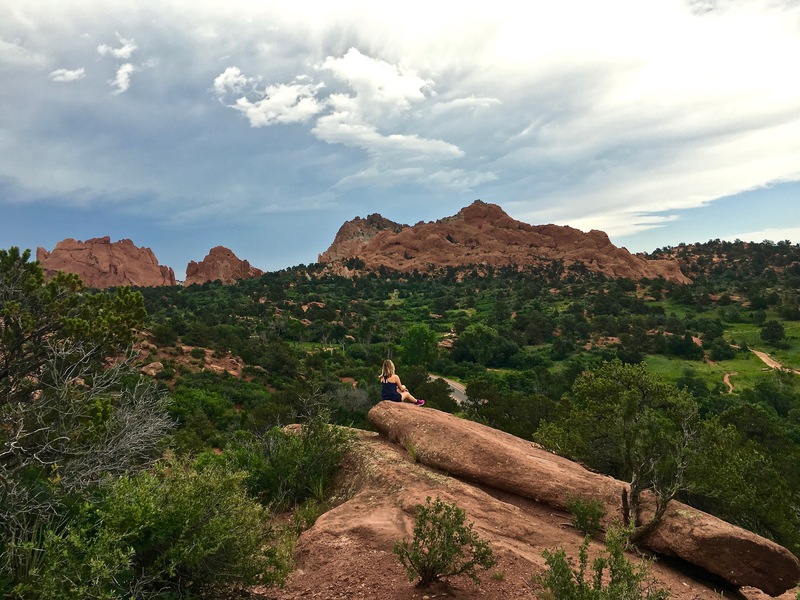 Garden of the Gods has been a serious bucket-list hiking destination for me for awhile now. Ignoring all advice to avoid exertion at elevation upon arriving from sea level, we didn’t so much settle on a trail, but rather clambered over the huge red rocks, halfway forging our own way. The behemoth boulders were a stunning foreground to a thunderstorm happening to the north. Seeing lightning flash in the distance was an unimaginable experience. 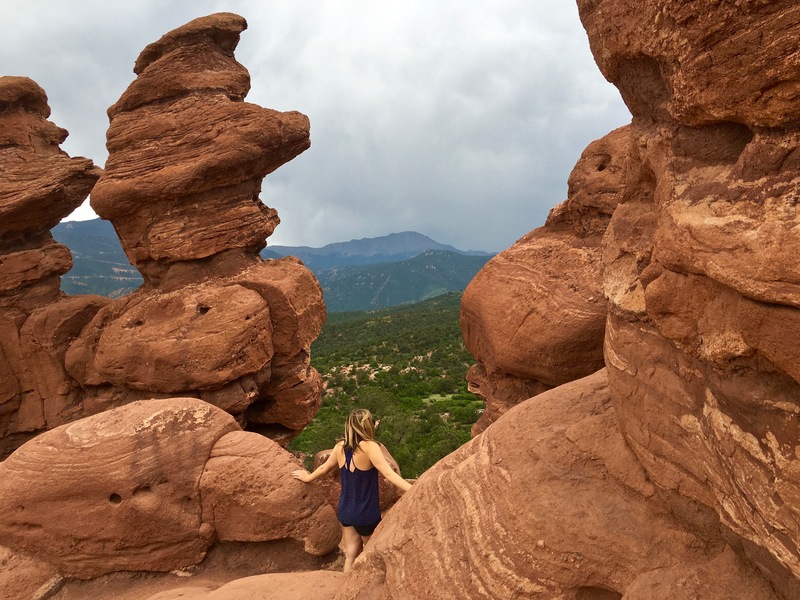 In addition to hiking, simply driving around Garden of the Gods provides numerous opportunities for photography and a way to see the park from different vantage points. For a Saturday, I was surprised at how readily available parking was. Perhaps it was the inclement weather, or perhaps my California reference point made the solitude especially evident. 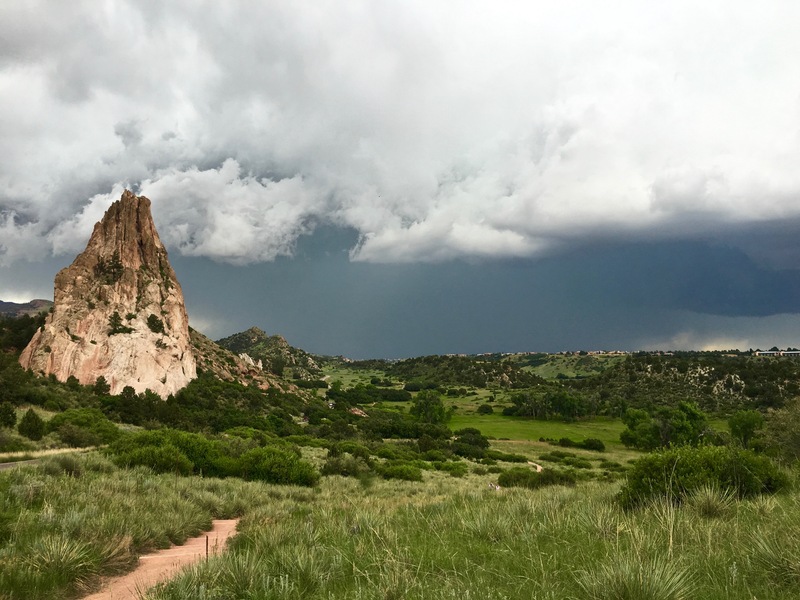 Though I’m typically one for fair skies and the sea, the dramatic scenes I witnessed at Garden of the Gods almost made me forget that I was the furthest I had ever ventured from the ocean. I made a dinner reservation at Briarhurst Manor, intent on stretching my birthday celebrations into one more weekend. Briarhurst Manor is a hard place to describe, but imagine being in a French tudor manor a la Beauty & the Beast, with a twist of feeling like you’ve set foot in a game of Clue. That’s as close as I can come. 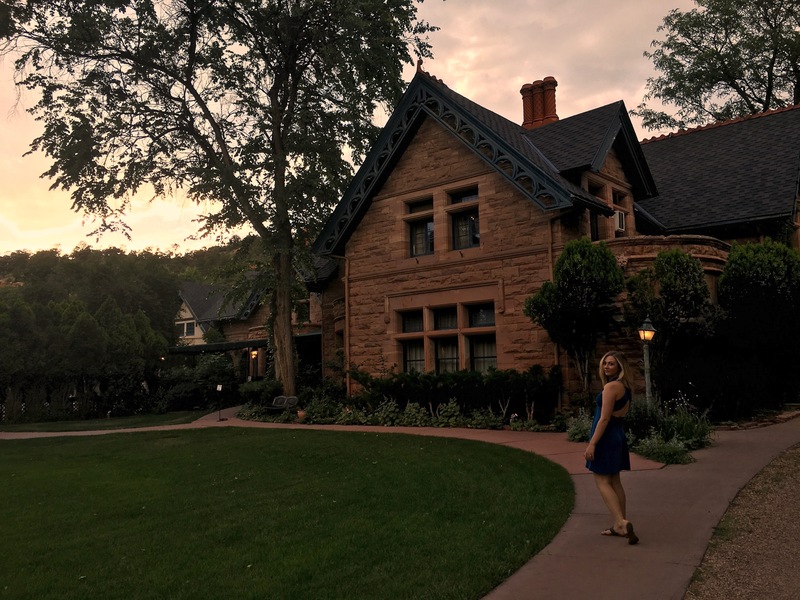 We had what I feel was the best table in the house, windowside in the corner of the garden room with a sunset view of Pikes Peak. Eating in such a gorgeous Victorian ambiance made the exceptional food taste even better. My husband and I shared the elk, and a NY strip steak, both of which were thoughtfully prepared. Everything, from an aperitif champagne cocktail, to a decadent strawberry rhubarb tart for dessert, the food left a lasting impression. In truth though, all of Colorado Springs made a lasting impression. From deepest serenity felt while meditating in Garden of the Gods, to enjoying our beautiful accommodation at Cliff House, I was left with a suprisingly positive feeling about being so far from the sea. I enjoy your bloggs..thank you for sharing your travels! !